Any bathroom renovation that you would like to execute with a contractor is a process that should have a contract. Developing a bathroom renovation contract can help you clarify the terms, conditions, and limitations of the transaction. With this, you and the contractor’s rights can be protected while ensuring that your obligations and responsibilities to one another will be delivered. As an important or vital part of your bathroom renovation, it is imperative for your contract to be developed accordingly prior to the actual bathroom improvement and remodeling processes. We know how hard and challenging it can be to create a bathroom renovation contract from scratch. This is the reason why we put together several references that can be very helpful on your part as a home owner. 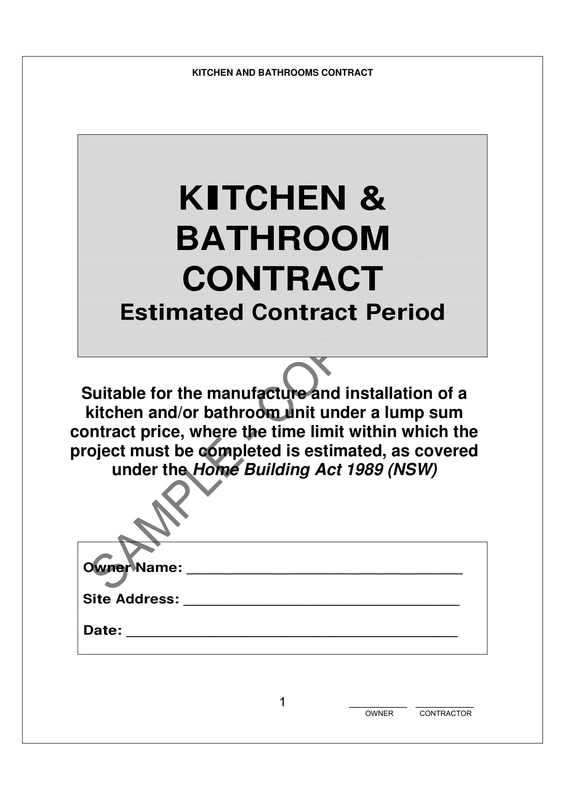 A list of bathroom renovation contract template examples in PDF is available for you to download from this post. Make sure to utilize the usage of these references so you can develop a well-formatted bathroom renovation contract. Why Do You Need a Bathroom Renovation Contract? Using a bathroom renovation contract can help you spell out all the items and terms that you have agreed upon with your contractor. This is very important so that all the parties can be aware of the minimum responsibilities that they have with one another. With the help of a bathroom renovation contract, you can ensure that all the promised services of the contractor will be delivered and that all your renovation specifications will be implemented as planned. On the other hand, the contractor can also ensure that you will pay them the amount that you have specified in the beginning of the transaction. Creating a bathroom renovation contract will allow you to have a reference whenever there is a need to review the agreement. A bathroom renovation contract can be used as an enforcement tool if there are misunderstandings that will occur in the future due to confusion, misleading information, and other unforeseen circumstances. Since there is a written document at hand, the bathroom renovation contract can be used to mediate between the home owner and the contractor. This is also the reason why it is essential for you to ensure the accuracy of all the details that you will but in the specified document. Making a bathroom renovation contract can make it easier for all parties involved to be aware of the specifications of the renovation. 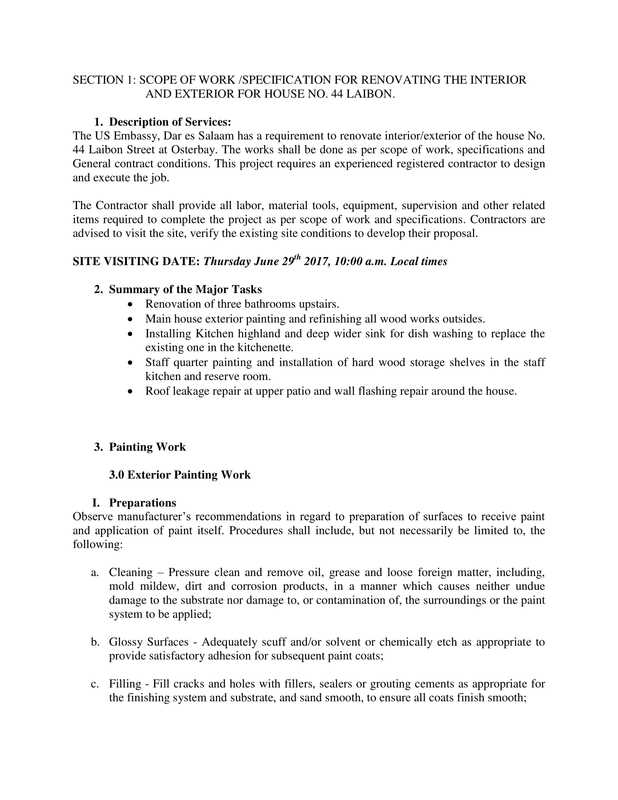 This document can list down the items that are needed to be changed and the features of the bathroom that must be retained. A common understanding of the renovation’s desired output can help both the home owner and the contractor to set proper expectations toward the bathroom development. This is a great way to lessen or even eliminate disputes prior, during, and after the actual bathroom renovation. Developing a bathroom renovation contract can list down all the requirements and needs of the renovation activity. In this manner, proper designation of responsibilities can be established. A bathroom renovation contract can discuss who is responsible for what. The awareness of their obligations can help the home owner and the contract build a healthy and lasting relationship, which can positively affect the renovation project processes. 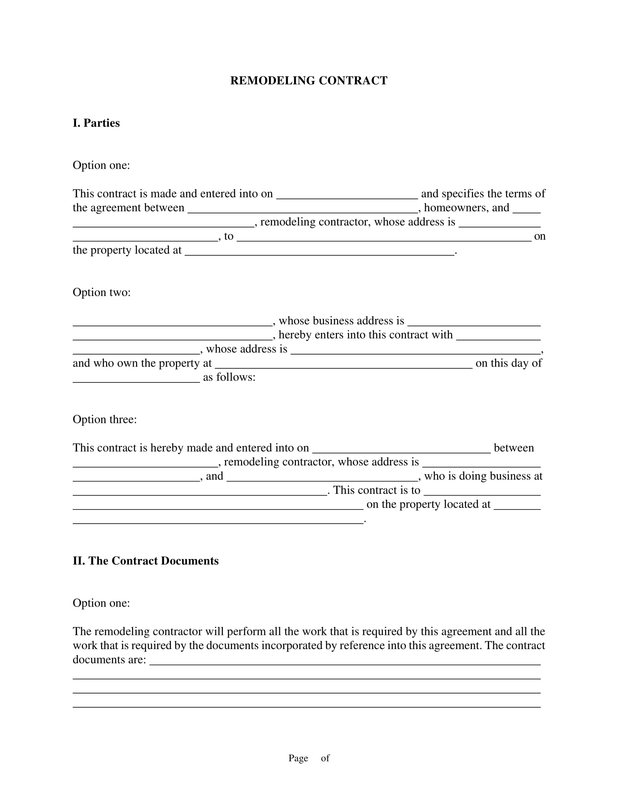 Have you ever tried to create a real estate partnership agreement or other types of contracts? Whatever activity it is that will require you to transact with another entity for business purposes, it is recommended for you to develop a contract so that you can make sure that your resources will be protected and that your rights will not be abused. As an example, a bathroom renovation contract is necessary so that you can have a reference when it comes to identifying the services that you have paid for. 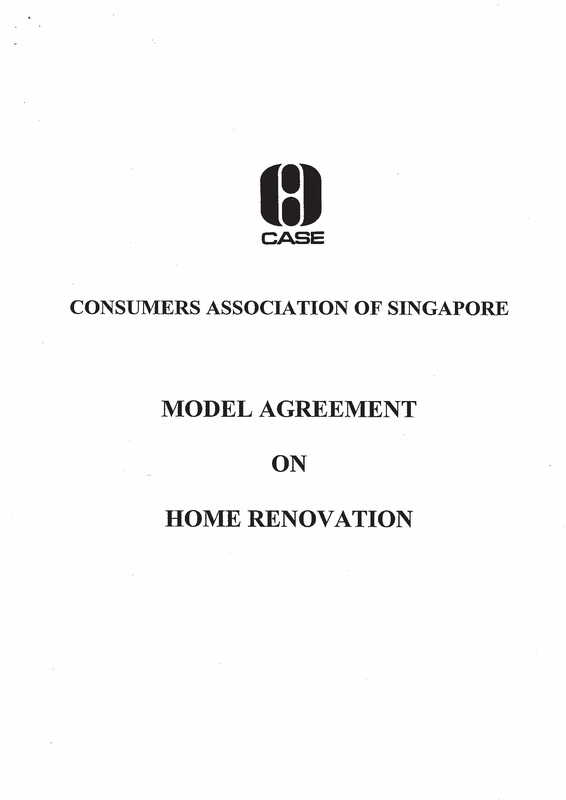 You can use this document to gauge the success of the renovation based on what is written in the contract. Listed below are some of the ways on how you can ensure the effectiveness of the bathroom renovation contract that you will develop. The introduction of your bathroom renovation contract must present the information of the contractor as well as the home owner. Aside from these items, there should also be a specification of the kind of renovation that will take place. Doing this can help present the relationship between the entities involved in the agreement. Ensure that the bathroom renovation contract is typewritten. You and the contractor should have a copy of the signed document so that you can protect yourself and your intentions. This will also allow all parties to veer away from any ambiguities, transaction abuse, and misunderstandings. Have a clear description of the renovation works that must be performed by the contractor. There should be a well-defined list of all the items or areas that will be renovated based on the specification of the home owner. 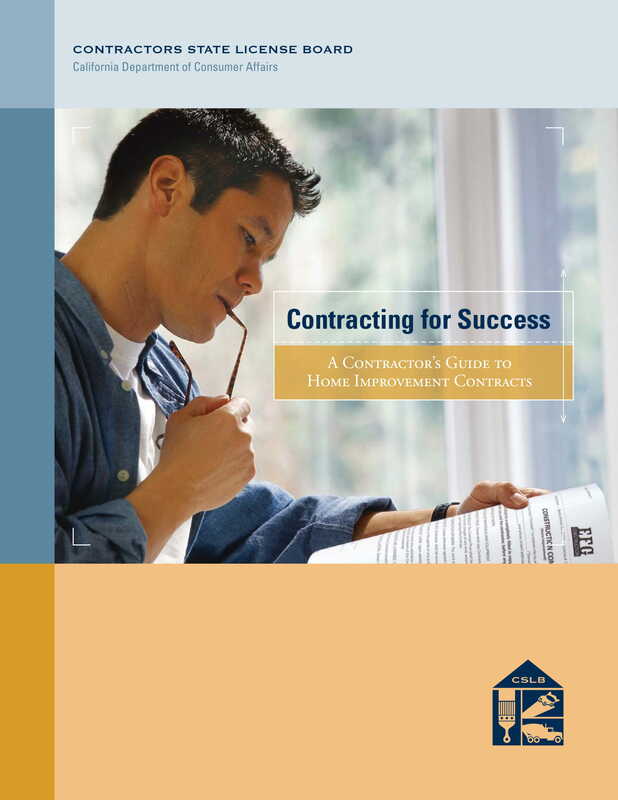 Your bathroom renovation contract must be comprehensive. Aside from the detailing of the renovation processes, it should also discuss the timeline that will be followed for the renovation, the materials and equipment that will be needed for the activity, the agreed price that the home owner should pay for the renovation, the permits that may be required prior to the renovation, and other details that are essential to be looked into with regards the renovation. Make sure that you will leave a space at the end of the document for the signatures of all the parties. 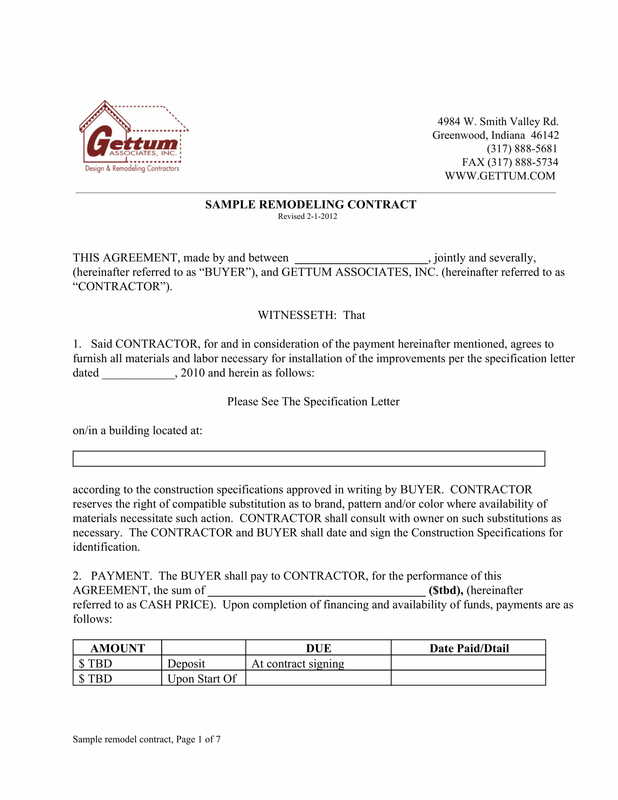 The homeowner and the contractor must affix their signatures in the document as a sign that they agree with all the content specified in the bathroom renovation contract. 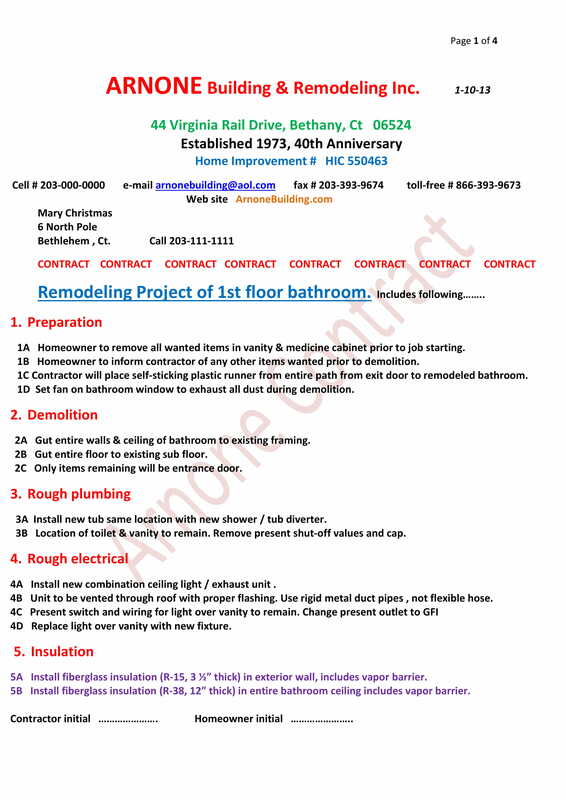 A bathroom renovation contract template makes your bathroom renovation discussion become organized. This can make the document become more understandable, which can lessen the possible existence of misleading information. More so, using templates can help you direct the focus of your target audience to particular content specifications. This is a great way to ensure that there is a thorough understanding of the bathroom renovation requirements and expectations. 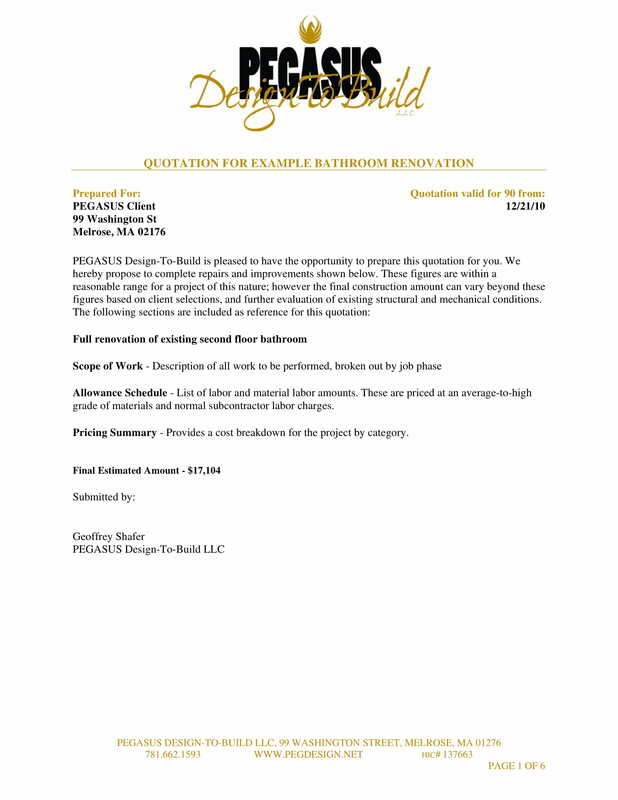 A bathroom renovation contract template can help you develop a document that is formal and business-appropriate. 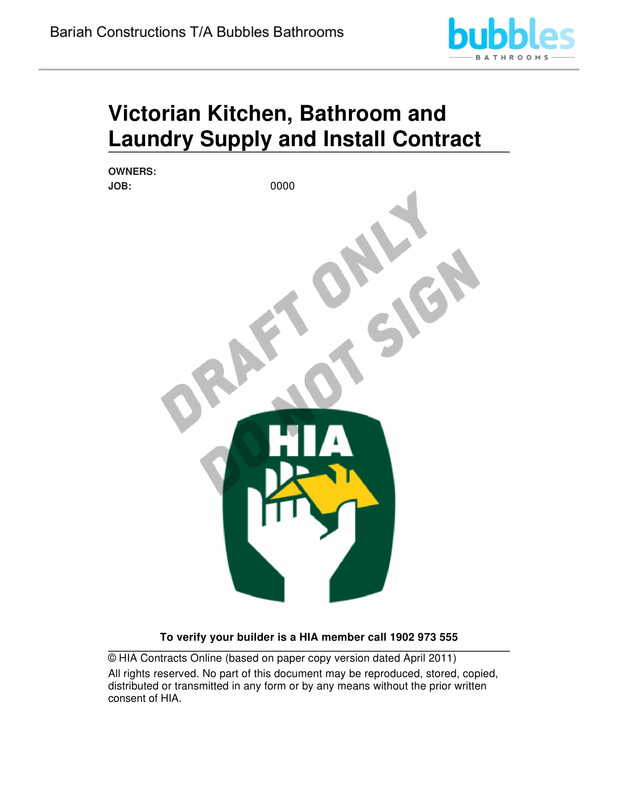 Even if you do not have prior experiences or you do not have the expertise to develop an effective bathroom renovation contract, having templates at hand can allow you to create a document that is professional looking. With this, you can ensure that the other entities within the transaction can browse through the document accordingly. 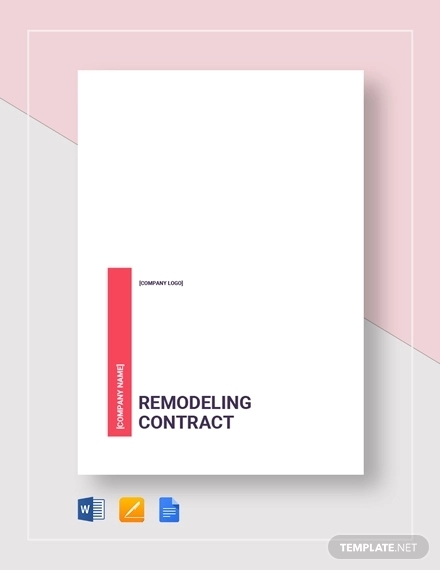 A bathroom renovation contract template can make it easier for you to identify whether your discussion is already complete or if there are other items that are still needed to be discussed. If you have a template when making a bathroom renovation contract, you can initially place all the discussion clauses or areas prior to the placement of specific discussions. If there are already titles and other guides in the document, it will be faster for you to point out the areas of the contract that are still needed to be filled. Ensure that you are aware of what should be included in the bathroom renovation contract. Your bathroom renovation contract must be comprehensive and well-written so that you can appropriately and precisely direct the contractors on what is needed to be done. Having a detailed bathroom renovation contract can lessen inquiries and questions as all parties already understand the complexities and actual requirements of the transaction. Be specific with the changes that you desire to observe after the renovation. You have to identify the things that you would like to renovate. Moreover, you need to be specific with the limitations of the renovation so that you can still retain the bathroom features that you do not want to be touched by the contractors. Knowing what you want can help you specify the scope of the renovation. Have an understanding of the importance of the document’s development and usage. You have to know how the contract can benefit you as well as the other entities that you will be working with. Having an idea of the advantages of having a bathroom renovation contract can help you become more eager and interested in making and keeping one. Use templates that you are comfortable with. You have to ensure that you will understand the format of the template or the way that the information of the document are placed together. This can help you make sure that you will not be confused when listing your own bathroom renovation specifications. 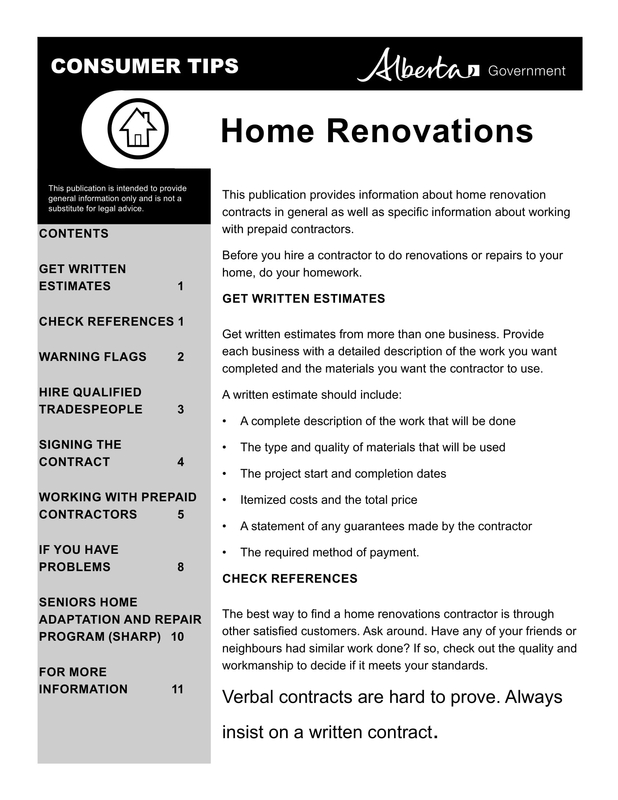 It is also great if you will refer to existing bathroom renovation contract examples. We hope that the examples and discussion in this post are already enough for you to have effective and useful references that will allow you to create a detailed and complete bathroom renovation contract. It is best if you will enter a bathroom renovation transaction with a contract at hand as it can help you ensure that there is an in-depth understanding between you and the contractor. Download any of our examples now and try to draft your bathroom renovation contract so that you can use a document that can let you work with other entities toward achieving a common goal related to your bathroom renovation.